Sundar stood beside the open casket where his father lay and looked in. The teenager could see the marks where the knife had slashed his dad’s face and neck. His mother sat near the casket, crying inconsolably. His younger brother had tears silently cascading down his cheeks. Pastor Tuhinsurra and Pastor Kanish were at the memorial service too, men Sundar knew had taught his father what it meant to be a disciple of Jesus. Others were there . . . countless others. Sundar could see how his father’s life had touched people. He just didn’t know his death would do the same. Sundar’s father, Debalal, had been the elder of the local church for three years. 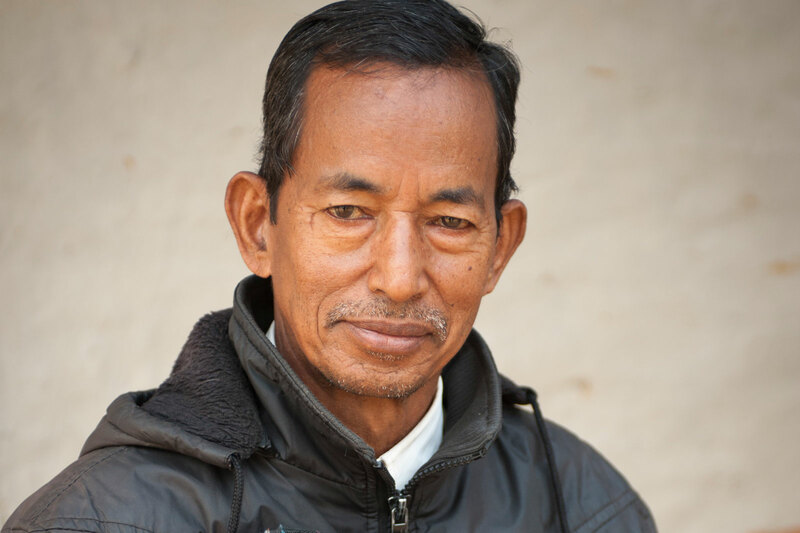 GFA World-supported pastor Tuhinsurra had seen how God was using Debalal to do His work in the village, so he entrusted him with the task of helping to oversee the church and ministering to the believers. Debalal often visited the villagers, especially those who were sick, to encourage and pray for them. A man named Kumar Sardar had burns on his face. He asked Debalal to pray for him because he experienced relief only when the man of God prayed. 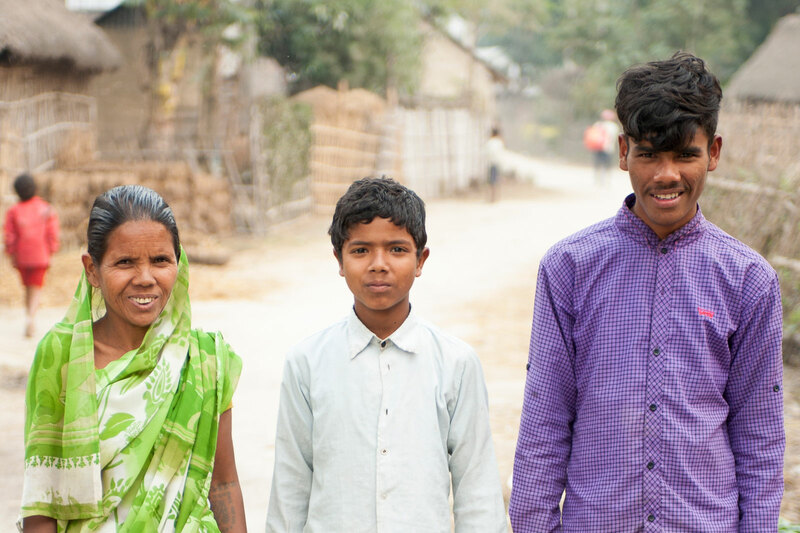 One Saturday night, Kumar’s wife and mother asked Debalal to visit their home to pray for Kumar. It was late, and Debalal and his family had already gone twice that day. “I’ll come in the morning,” he told them. So Debalal left his family at home and walked over to Kumar’s house. As he prayed with his eyes closed, Kumar hacked at him with a knife resembling a machete. News spread quickly about Debalal’s death. Sundar was working late at a hotel when his manager told him what happened. Fear suddenly began gnawing at his insides when he found out his father was martyred for his faith. He traveled back home, unsure of what to expect. Pastor Tuhinsurra received the phone call at 3 o’clock in the morning. He knelt beside his bed and wept bitterly for his friend as he prayed. Then he headed to the village. Pastor Kanish, the district pastor, had rushed to the village after Pastor Tuhinsurra called him with the sad news. The pain and sorrow he heard in Pastor Tuhinsurra’s voice had brought tears to his eyes. It was a day neither man would ever forget. Pastors Tuhinsurra and Kanish spent the weeks and months that followed encouraging Sundar, his family and the believers through their fears and doubts. 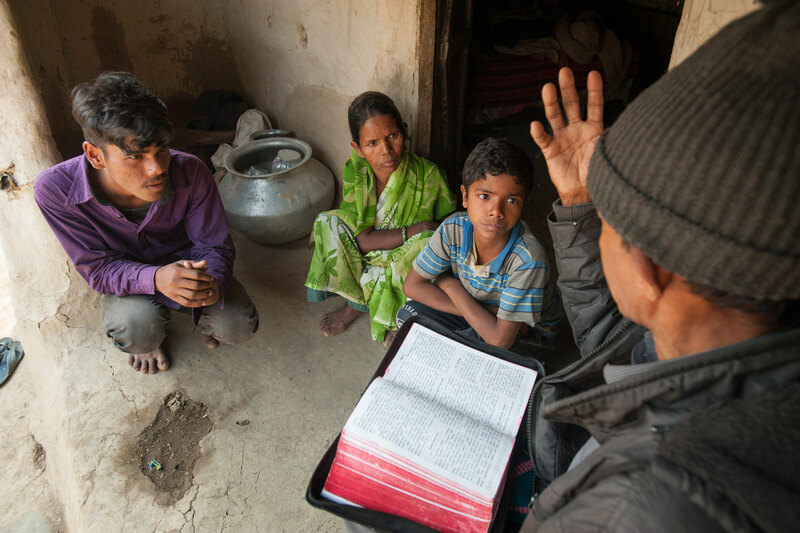 But pastors Tuhinsurra and Kanish were there to strengthen and teach them how to live courageously for God through His Word and His love—and it was through Debalal’s death that their own understanding of what it means to follow Christ deepened. After Debalal’s death, Kanish took Sundar under his wing and mentored him. 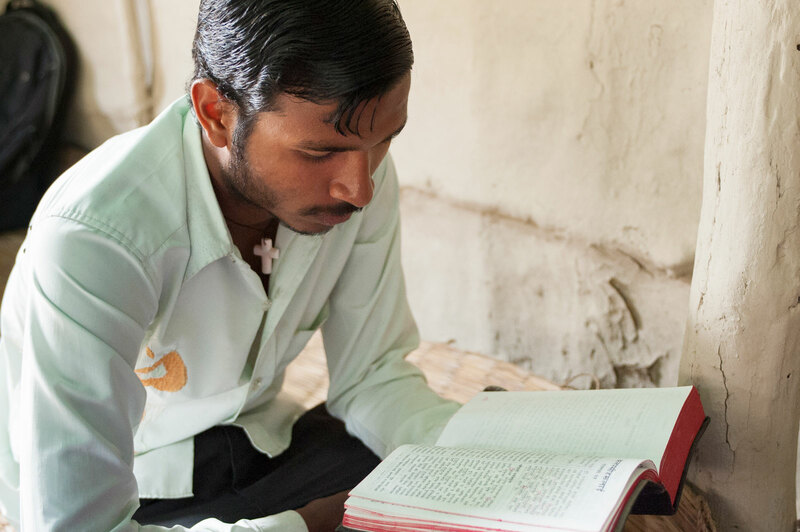 The fear Sundar felt vanished as he read God’s Word and discovered more of His love. He decided to spend the remainder of his life serving God, just as his father did—and he’s accepted the price he, too, might pay. After Debalal’s death, Ranjiv, Debalal’s younger son, had many fears and anxieties. “But now, after one year of my father’s death, because of God’s love in my life, no such kind of fear and no such kind of anxieties are with me,” he says. Sundar’s fear of what would happen to him and his family after his father’s death vanished when he discovered more of the Father’s love. He is studying in a Bible college now. 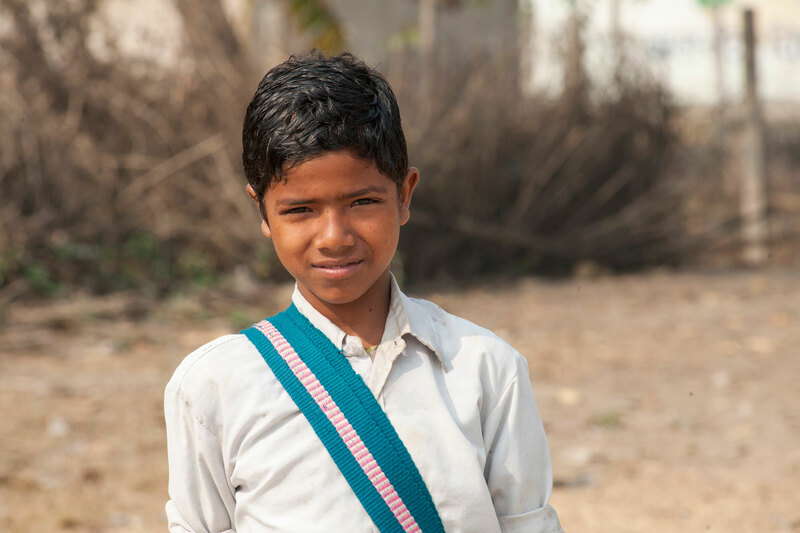 His heart longs to see the Good News transform people’s lives—like it did for his father and entire family. 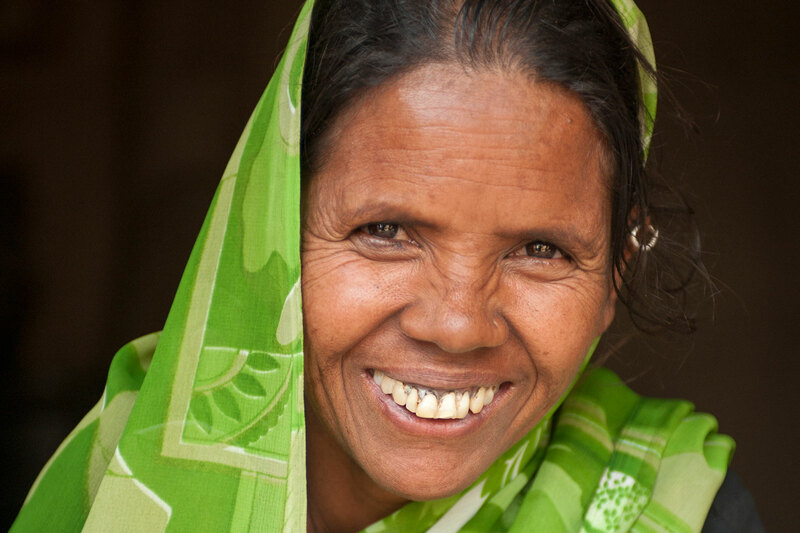 After Debalal’s death, Tuhinsurra took care of the family and helped provide for their physical needs, like food and clothing. Pastor Tuhinsurra has also taken the role to lead Debalal’s family spiritually. Whenever he visits, he shares from God’s Word and prays for them. “[John 3:16] constantly reminds me of God’s love that I need to show other people,” he says. Debalal’s death has given believers, like this brother in Pastor Tuhinsurra’s church, the courage to live boldly for Christ. Pastor Tuhinsurra plans on providing one of Jasmeh’s sons with a plot of land they can build a house on in the future. 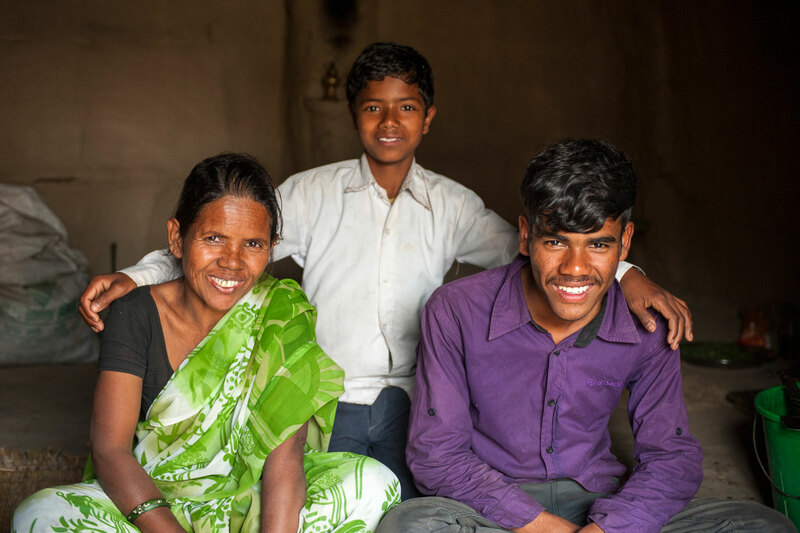 A year after Debalal’s death, the family is able to smile, knowing they are being taken care of by a loving and sovereign God. The martyrdom of one man gives other Christians the courage to live for Christ. Read Story. People living in a region where temperatures drop to frigid depths struggle for their livelihood until help comes along. Read Story. 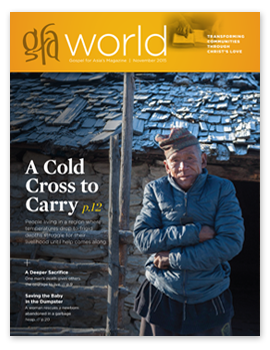 A GFA World-supported pastor encounters gossip, slander and rejection from his community because of his love for Jesus. Read Story. A woman rescues the newborn her sister and brother-in-law had abandoned in a garbage heap. Read Story.